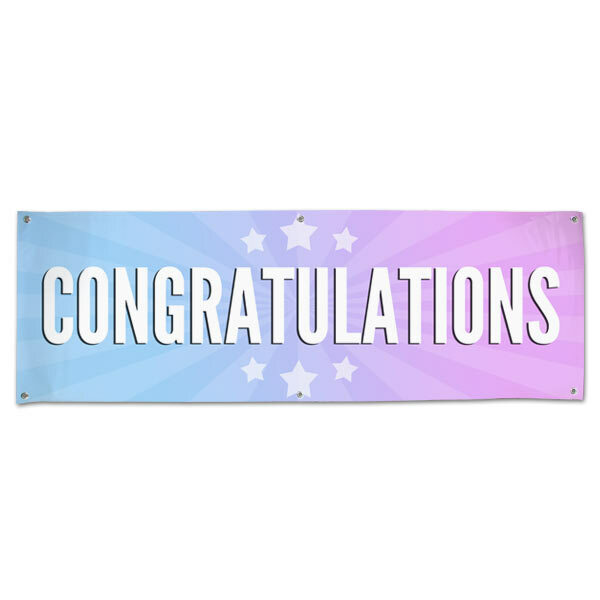 Ideal for weddings, graduations, or office parties, our congratulations party banner is guaranteed to make a festive statement. They're made from durable vinyl so they can be displays indoors or out to compliment any occasion. In addition, you don't have to customize your layout. 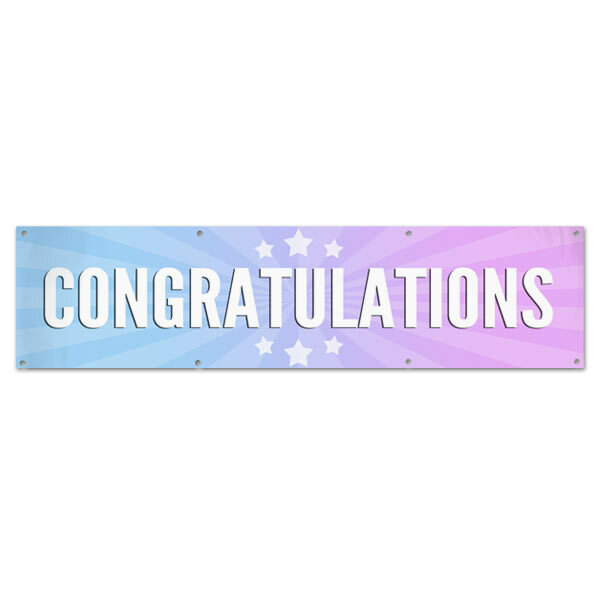 Just select a size and order your banner in minutes in time for your celebration. Are you thinking about creating a banner with photos instead? Our custom vinyl banners can be custom printed with photos, text, and a large selection of background patterns and colors. 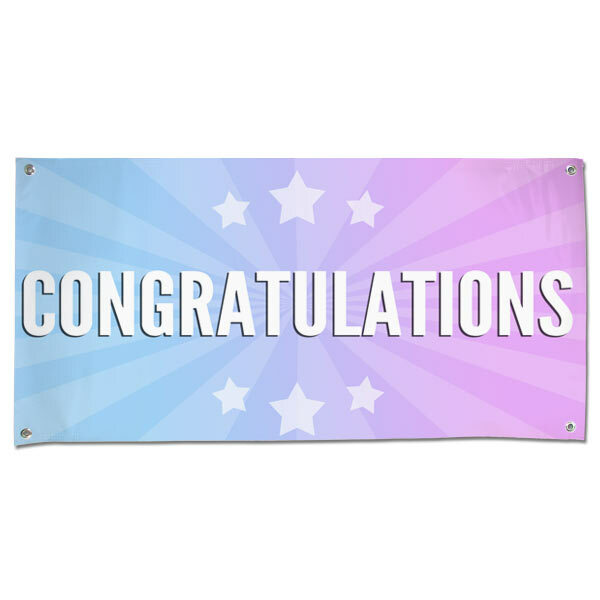 No matter the occasion, you can create the perfect banner to liven up your celebration with banners from MyPix2!